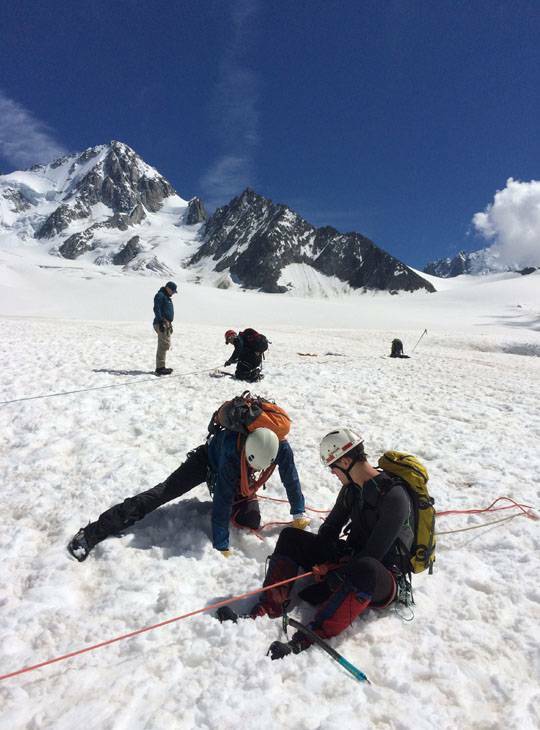 Breath-taking Chamonix is the location for this three day course - it's superbly well equipped for all levels from novice through to expert. 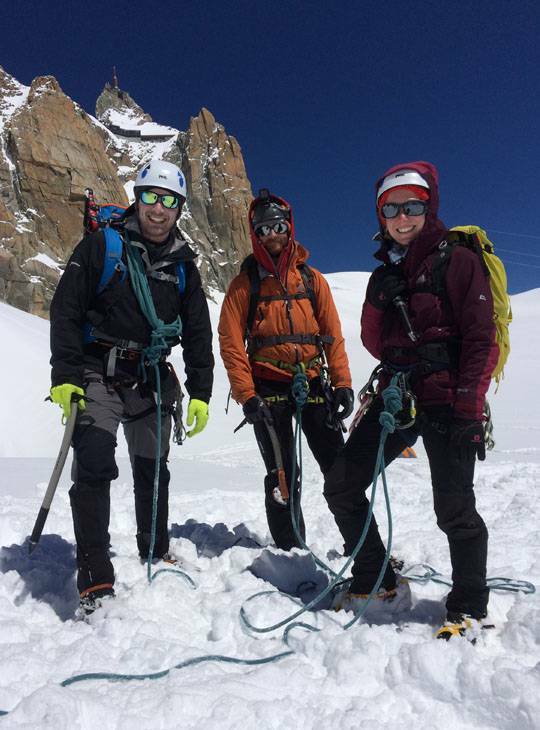 Whether you're an experienced climber or mountaineer visiting the Alps for the first time, or a budding Alpinist with a desire to refresh your skills, this action packed three days will move you up to the next level. You'll get all the guidance and reassurance you need whilst covering the fundamental skills and techniques required in the unique Alpine environment. We'll get you moving with confidence over rock, ice and glaciers. 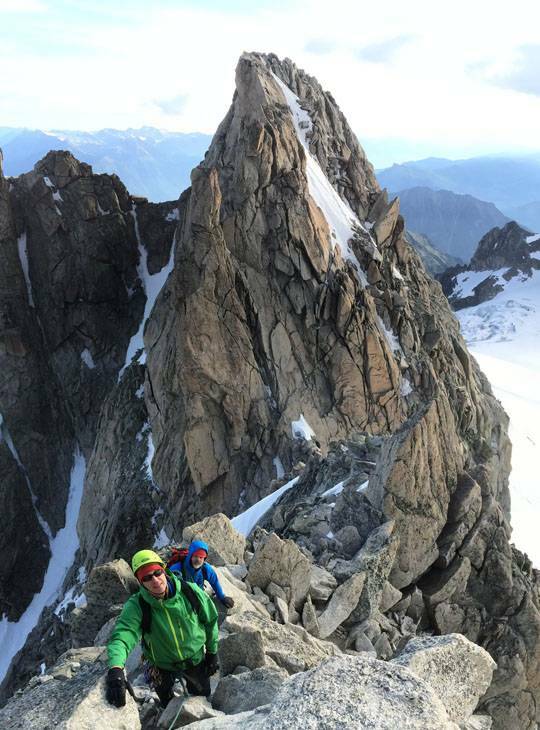 Our experienced IFMGA Mountain Guides will happily let you pick their brains for advice about your future plans, matching your aspirations and ability to the perfect routes. Ascend an alpine peak practicing all techniques learnt, then return to the valley. Instruction, coaching and equipment hire are all included. You'll need to buy lift passes locally when you get there. 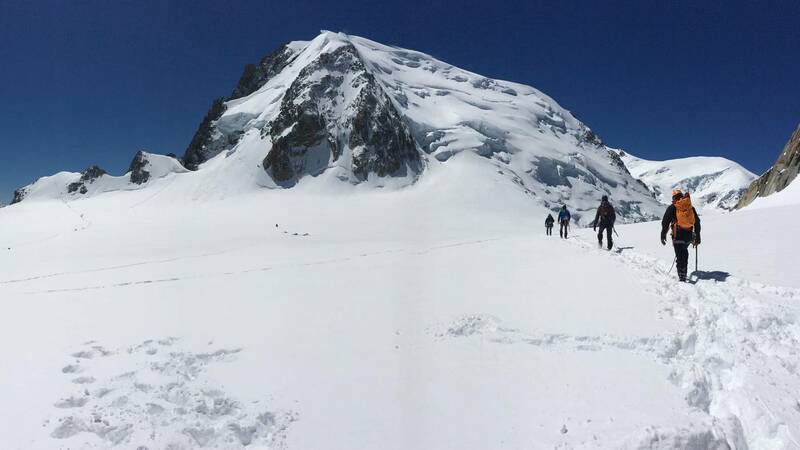 Whilst this course doesn't include accommodation or meals, our meeting point on the first day, the Yeti Lodge in Chamonix provides a warm welcome to B&B or half board guests. Please contact them for details of prices and availability. Clothing to cope with hot sun on glaciers, as well as cold snowy conditions; mountain boots (B2 or 3), gaiters, lightweight mountain waterproof jacket and over trousers, down or synthetic duvet jacket light, coloured long-sleeved thermal tops, light soft shell trousers, fleece or synthetic insulation mid-layer tops, good quality mountaineering socks (several pairs), light gloves (leather palm), warm gloves, warm hat/ beanie, sun hat. Mountaineering/climbing equipment and other items to bring; rucksack (30-50L with ice axe attachments), climbing helmet, climbing shoes, mountaineering harness, mountaineering axe, 12 point mountaineering crampons, belay plate, 2 ice screws, Petzl Micro Traxion, Tibloc and pulley (useful), 2 prussick loops, 4 screwgate karabiners, 2 snapgate karabiners, 120cm sling, head torch (plus spare batteries), compass (Silva Expedition 4 recommended), maps (Chamonix, Massif Du Mont Blanc - 3630 OT), sun glasses (Cat 4 essential), sun cream/lip salve (factor 30+), water bottle (at least 1 litre), camera, small first aid kit, lunch snacks & emergency food, European Health Insurance Card, passport, copy of insurance, Reciprocal Rights Card (if you have one). 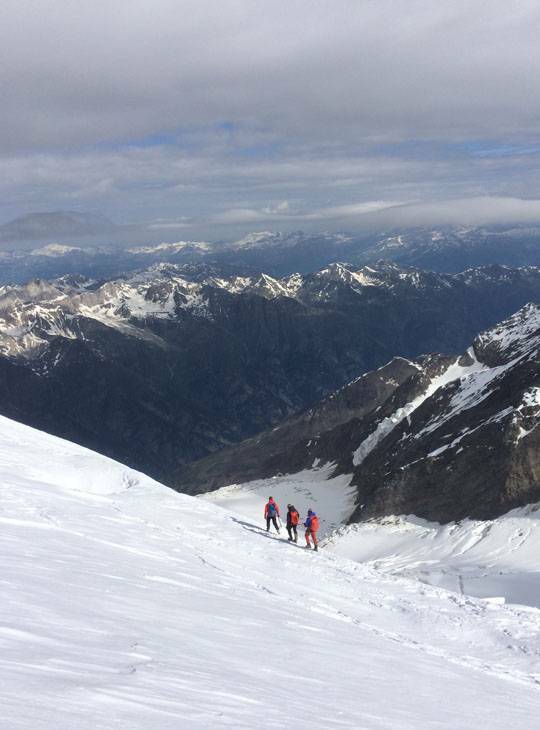 You'll be a confident mountaineer ready to get out and climb your first Alpine peaks.